Is The Creation Story in the Torah True? As an example, let us consider the story of Creation. 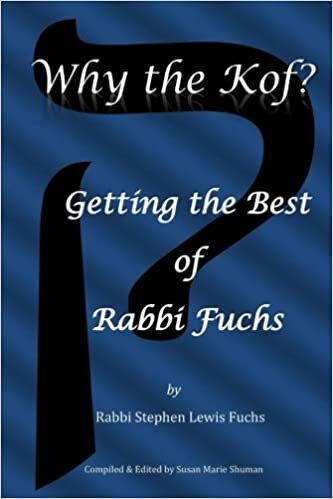 When the rabbis studied the story they did not ask scientific or historical questions like, “Did this really happen this way?” Rather they asked questions like “Why did God choose to begin the account of creation (I.e. why does the first word of the Torah begin) with the letter Bet (ב,the second letter of the alphabet rather than Aleph, א, the first)? They answered that just as the top and bottom of the letter are closed, so too are secrets of the essence of God above and of what happens when a person is laid to rest in the ground below. Just as the back of the letter is closed, so are God’s actions before the world was created closed to our knowledge. But the front of the letter is open! That teaches us that we should concentrate our efforts and our energies on that which is open to us–this world and its mysteries. Going a bit further, then the truth of the Story of Creation lies not in the contention that it happened as written. Rather the truth to be gleaned is that Creation was not an accident, that God is the initiator of Creation, that Creation is meaningful and purposeful and therefore our lives can have meaning and purpose. Furthermore as creatures created in God’s image–we human beings–not the tiger or the Rhinoceros– are in charge of and responsible for this world and what happens to it. It is an awesome responsibility. The final element of truth to the story for Jewish thought is that it includes the idea of Shabbat. If God can rest, we too can rest and reflect on the meaning and purpose of our lives. Why Did Rosh Hashanah Become So Important? In the Torah where Holy days and festivals are listed (Leviticus 23), there are only two sentences about Rosh Hashanah. Why does such an important occasion in Jewish life get so little space? It is fair to assume that when writing involved engraving words into stone or writing each letter on parchment that the amount of space a subject received was indicative of its importance. Clearly, Rosh Hashanah was once a minor observance. But now, Wow! Architects designed many of our sanctuaries to expand to provide more space for the Rosh Hashanah (and, Yom Kippur) crowds. We rabbis do everything we can to lure people in during the year. But on Rosh Hashanah many communities print tickets to keep non-members out. Our liturgy indicates why Rosh Hashanah has become so important. Our daily and Shabbat services mention only two historical events: the creation of the world and the Exodus from Egypt. Kiddush (Shabbat blessing over wine) also only mentions the creation and the Exodus. Now Passover in which more Jews participate than any other event during the year grandly celebrates the Exodus. But we also needed a big occasion to celebrate the ideals taught in Genesis’ magnificent Story of Creation. The story tells us nothing scientific about HOW the world was created but so much about WHY! God created the world with purpose and meaning and set us human beings to be in charge of and responsible for the world. God gave us awesome power. We are the only creatures who can do brain surgery, but we are the only ones who make bombs and bullets to kill and maim. Our Sages wisely perceived that we needed an event to remind us to use our power prudently. That is why Rosh Hashanah became the important festival that it is!